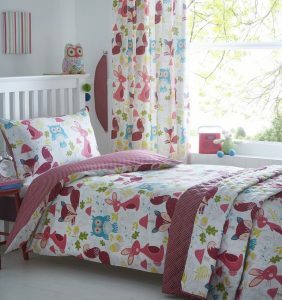 Introducing our extensive range of Children’s Duvet Covers from thebedlinencompany.ie. 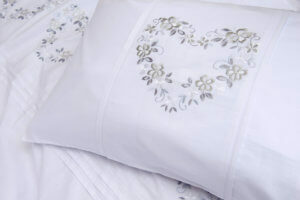 Based in Cork in Ireland, we are the leading supplier of quality bedlinen online. Children’s likes and dislikes change on a regular basis, and so do we-therefore stock changes on a weekly basis. Our designs are available at affordable prices to allow you the luxury of regularly transforming your child’s room as they grow and change. From Knights & Dragons linen, Planet Themed bed sets to Swashbuckling Pirates. From Sunny Days Duvet Covers to Make a Wish Bed Linen. From Ballerina Sets with Matching Curtains and Bed throws of all sizes to Farmyard and Dumper Truck sets. Unicorn really do exist! At least here at the Bedlinen Company. There are styles to suit babies, toddlers & Children of all ages all the way up to Teenager Skateboard and BMX designs. 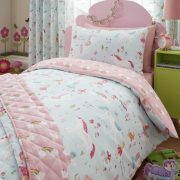 There are matching accessories for many of the styles and designs in our Childrens Duvet Covers range. Matching Curtains, Throws and Cushions will complete the look in your child’s bedroom. In the adults range there are Matching Bed Spreads, Throws, Bolster Cushions, Neck Rolls, and Pillow Shams. Single duvet cover sets include one matching pillowcase. There are two pillowcases with the double, king size and super king size bed linen sets. We have every size available at The Bedlinen Company. Childrens Duvet Covers come in Single, Double, King Size and even Super King Size in selected designs. You don’t have to be young in body to enjoy some of these bright happy designs. 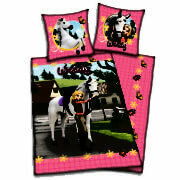 The young in Spirit can brighten up their room with these designs that come in Double & King Size also. Baby Blankets, Children’s Blankets and even the much sought after Manterol Design Luxury blankets are available on our site in different sizes. www.thebedlinencompany.ie Manterol Baby Blankets come in a beautifully presented boxed gift box for that special new arrival in your life. 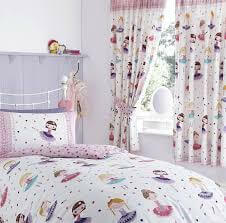 There are many other designs besides Childrens Duvet Covers available from our online store thebedlinencompany.ie. Why don’t you transport yourself to Morocco with our Kasbah Design in either Blue or Terracotta, or experience some hotel style luxury with our fresh crisp St Tropez linen in duck egg blue or Raspberry. Freshen up for Spring with any of the bright or subtle floral designed bed sets. 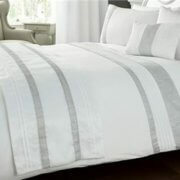 Or Keep it simple with the understated Neve Design Bedlinen. You can afford to change with affordable process from The Bedlinen Company. www.thebedlinencompany.ie. Irelands leading supplier of Quality Bedlinen.